Single H1 heliostats are powered nicely by this P2 power system. Comes with 5W photovoltaic panel, and battery/charge controller mounted in IP66 waterproof NEMA enclosure with cable gland sealed wiring. 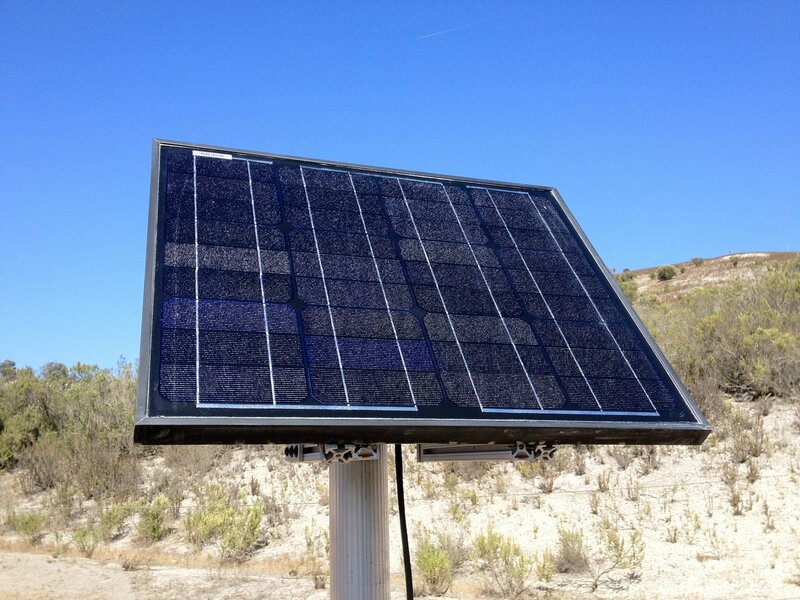 Mounts to same pole as a H1 heliostat, and provides on-board DC power for totally off-grid operation of your unit. Need to power multiple H1 heliostats off-grid? Consider our P1 power supply, which supplies power for up to 6 heliostats simultaneously.